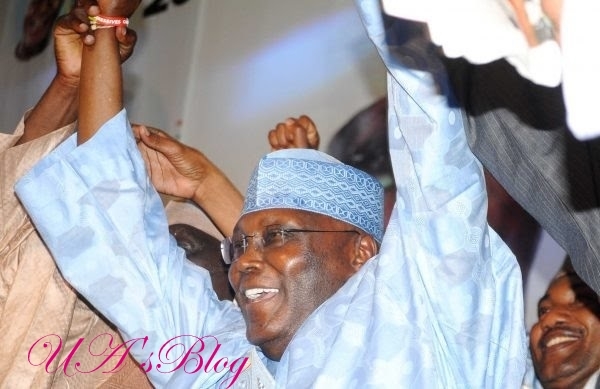 Following the emergence of Alhaji Abubakar Atiku as Presidential Candidate of Peoples Democratic Party (PDP), one of the runners-up during the primaries, Gov. Ibrahim Dankwambo of Gombe State, has congratulated and pledged his unalloyed support to him. Recall that Senator Rabiu Kwankwaso, former Kano State governor had also congratulated Atiku and promised to work with him. According to the governor who has been offered Gombe North Senatorial District ticket, God-willing, victory will be delivered to PDP in 2019 presidential election. “I assure you of my personal commitment and that of my supporters all over the country in the next presidential race. “I have no doubt, that with God on your side, coupled with your wealth of experience and exposure, our party will be victorious in the next election,” he said. Dankwambo, a former Accountant-General of the federation, commended Atiku’s doggedness. “With gratitude to almighty Allah and profound sense of fraternity, I formally congratulate you on your nomination as our party’s Presidential candidate. “As a co-aspirant in the contest, I understand the emotional, physical and financial stress associated with such race. “Accept my hearty congratulations on this very important victory,” Dankwambo concluded. Prior to the Oct. 6, primary election, Dankwambo pledged to abide with outcome of the process. The governor, who hails from same geo-political zone (Northeast) with Atiku, polled 111 votes to come fifth in the keenly contested party primaries in Port Hacourt. Atiku polled 1,532 votes among 12 aspirants to lead while Gov. Aminu Tambuwal of Sokoto state polled 693 votes to come second. Former Vice-President Atiku would contest for the number one office with current President Muhammadu Buhari of the All Progressives Congress (APC). Alhaji Muhammad Ribadu, the former Senatorial candidate, Gombe North Senatorial District under the PDP relinquished his candidacy to Dankwambo on Thursday.